While Canadians often pride themselves on their historical support of the more progressive anti-slavery Union, British support for the North was never a given. Reverend Josiah Henson escaped to Upper Canada with his family in 1830. His memoirs inspired Harriet Beecher Stowe's Uncle Tom's Cabin. April 2011 marked the 150th anniversary of the start of the American Civil War, a conflict enmeshed with the issue of slavery. Citizens of what soon became Canada were long involved in aiding fugitive slaves escape slave-holding southern states via the Underground Railroad. In the mid-1800s, a hidden network of men and women, white and black, worked with escaped slaves to help them to freedom in the northern U.S. and Canada. Though scholars warn that tales of the Underground Railroad have been exaggerated in popular history (between 60,000 and 75,000), an estimated 30,000 slaves made it to Canada in this way. While Canadians often pride themselves on their historical support of the more progressive anti-slavery Union, British support for the North was never a given. And before we Canadians go overboard patting ourselves on the back for coming to the rescue of fugitive slaves, a University of Winnipeg prof reminds us slaves once escaped from British North American colonies into the United States. “It was not at all clear at the beginning that Great Britain and other European nations would shun the Confederacy,” said U of W history professor Garin Burbank. In the early days of the North-South conflict, both sides were vying for support from Britain and other European powers. And while abolitionists were hard at work denouncing the evils of slavery, Britain had only relinquished its ties to the practice a few decades earlier. Further, many European nations depended on the cotton produced by southern slave states. Quite the predicament. Some English Quebecers felt they could relate to wealthy Southern planters and had Confederate sympathies, Burbank said. But when the Emancipation Proclamation, which declared all slaves in any of the rebellious Confederate states were free, came into play, Britain had to choose sides for good. “Once the Lincoln cabinet issued the Emancipation Proclamation, then it became virtually impossible for any European power to say they were now going to recognize a confederacy that still supported human slavery,” Burbank said. And when it comes to taking pride in leading slaves to freedom, some scholars say Canada’s not as deserving as popular legend implies. Historians Larry Gara and Robin Winks contend the image of the underground railroad promoted by abolitionists and their descendents has been greatly overplayed. Gara says numbers of slaves helped through the railroad have been exaggerated, and a large amount of fugitives actually escaped of their own accord. In fact, slaves once escaped south from British North American colonies into the United States, Burbank said. Loyalists from southern colonies brought slaves to New Brunswick and Nova Scotia. He said there were instances where slaves escaped south to Vermont, which had abolished slavery by the 1790s, while British colonies wouldn’t abolish the practice until the 1830s. When it comes to taking sides, it seems Canada’s role in the American Civil War was more complicated than some would like to believe. Listen to a podcast interview with the executive producer of The Underground Railroad, a one-hour documentary airing on PBS February 6. Also includes video trailer and photo gallery. See a brief timeline of the abolition movement in Canada. Listen to a podcast interview with Governor General Award recipient David Watkins about teaching African-Canadian history. 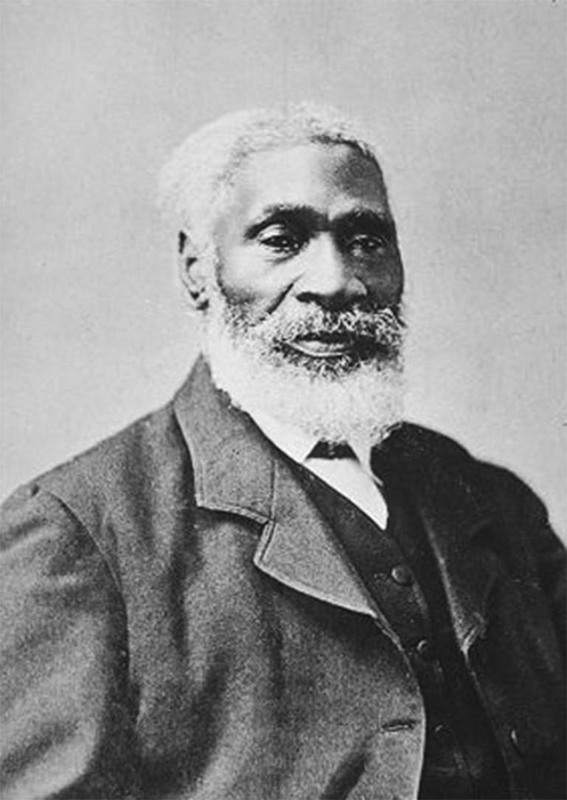 Visit Uncle Tom’s Cabin Historic Site in Dresden, Ontario and learn about Reverend Josiah Henson, the inspiration for Uncle Tom. Toronto high school teacher David Watkins has found a way to get his African-Canadian students passionate about their history. A look at the Underground Railroad and anti-slavery movement in Canada. In this special issue of Kayak we are joined by guest editor Natasha Henry who shares some amazing stories and examples of the ways Black Canadians built and shaped this country. Book Review: In Black Loyalists: Southern Settlers of Nova Scotia’s First Free Black Communities, historian Ruth Holmes Whitehead offers a finely crafted and carefully researched glimpse into the lives of slaves who fled the fledgling United States as Britain’s last stronghold, in New York, began to crumble. Nominate an exceptional history project in your community for this year’s Governor General's History Award. For many, Labour Day signals the end of summer. But what evolved into just another long weekend began as a massive working class demonstration in the streets of Toronto. The prestigious role of Governor General of Canada dates back nearly 400 years, to the Governor of New France, Samuel de Champlain. A message from the Honourable Mélanie Joly, Minister of Canadian Heritage. Newfoundland has had a tumultuous political history. Perhaps no more dramatic and significant were the riots of 1861.